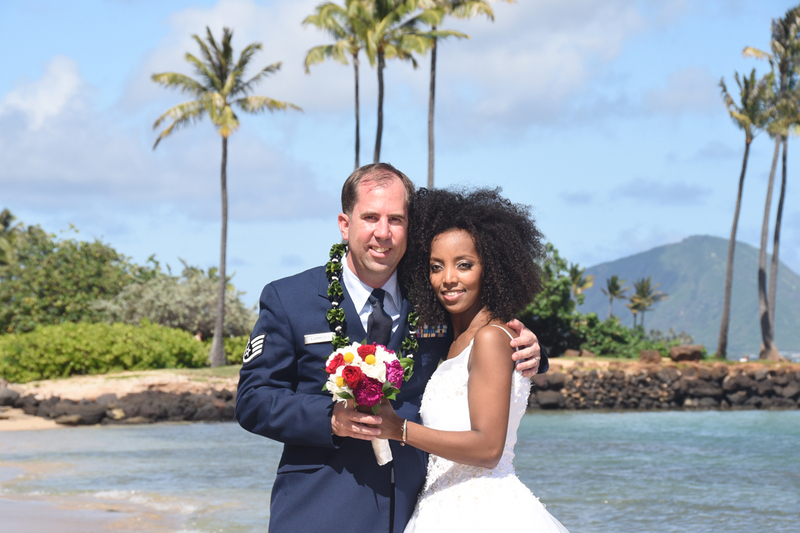 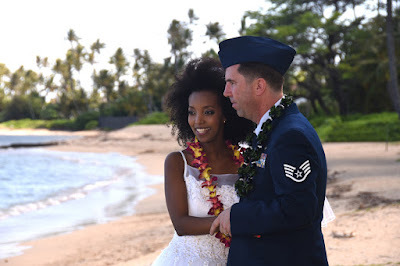 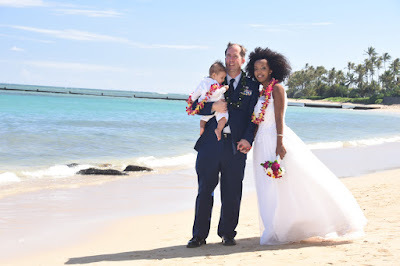 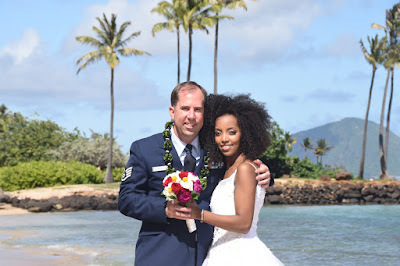 Bill & Hana have their wedding at Kahala Beach. 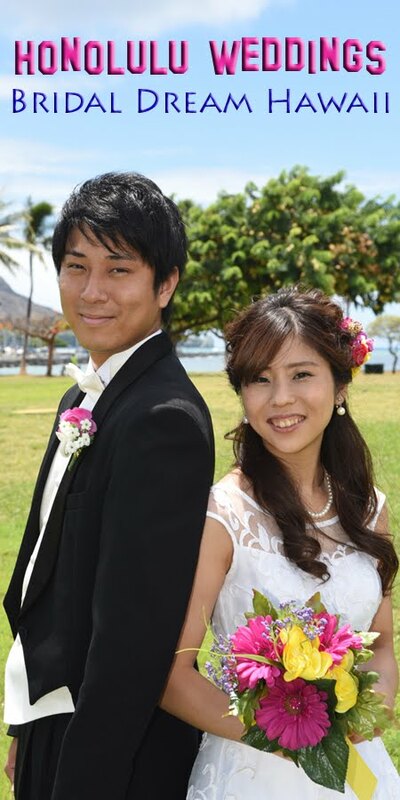 Services by Bridal Dream Hawaii. Afterwards we drive to Ko Olina for sunset photos.